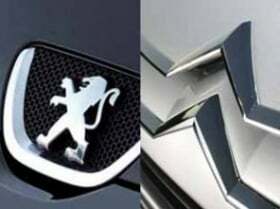 PARIS -- PSA/Peugeot-Citroen said it was determined to keep open its Sevelnord plant in northern France, where it jointly assembles light commercial vehicles with Fiat, France's Industry Ministry said. Fiat is pulling out of the venture when the current partnership agreement expires in 2017, raising questions about the future of the plant. The facility also builds the Peugeot 807 and Citroen C8 large minivans, which are not part of the joint venture. The assurance came during a meeting on the site's future called by Industry Minister Eric Besson and including company executives and workers from the factory, at which PSA "confirmed its full determination to keep the Sevelnord site," an Industry Ministry statement said on Thursday. PSA, which last week announced a wide-ranging joint venture with General Motors, also said at the meeting it was actively looking for new partners to help it launch new vehicles at the site, Besson said. PSA said in January that it was looking for a new partner with which it could share the cost of developing and manufacturing its Peugeot Expert and Citroen Jumpy vans assembled at the Sevelnord plant. The plant was one of two French plants which have been seen as candidates for closure as PSA -- like other European mass-market automakers -- grapple with overcapacity. One union official said he was unconvinced by the latest assurances. "The first step was not to be forgotten and today's announcement goes in the right direction," said Pascal Lucas, a representative of the CGC union at the plant. "The problem is that they may be simply be stalling to win time until after the presidential election." Sevelnord, which has been in operation since 1992, employs 2,800 workers. In 2010, the plant produced 89,862 vehicles, according to PSA.